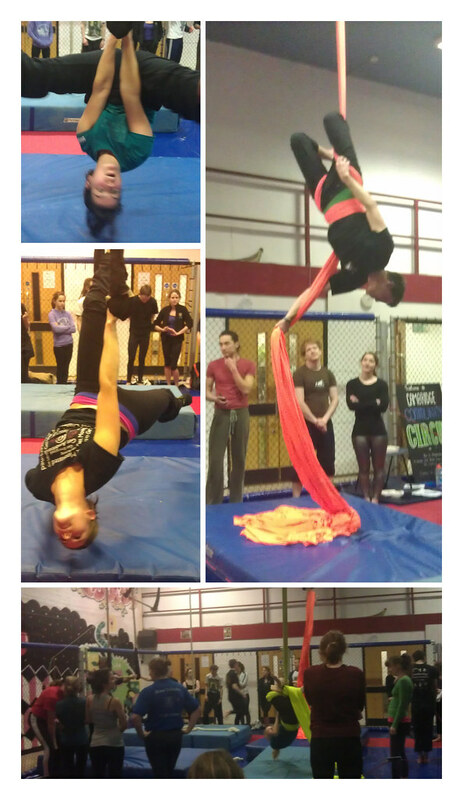 It turns out there is a community circus group headquartered exactly two minutes’ walk from my house. So today I went to check it out. There was juggling, unicycling, hula-hooping, and – the main event – a whole section of aerial apparatus, including rope, two trapeze swings (not the kind you jump between, though, which is what I was expecting), a suspended hula hoop that works kind of like a trapeze, and the yellow and orange ropes that you can wrap yourself in and twirl around on. I’m going back next Sunday, and hopefully every Sunday thereafter. It was amazing.